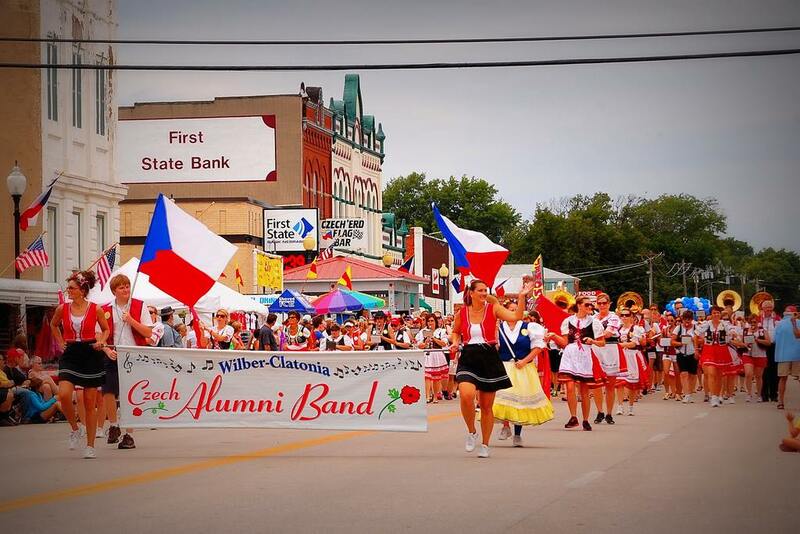 In 1986, approximately 90 Wilber and Wilber-Clatonia alumni band members assembled to celebrate Wilber’s 25th annual Czech Days. Besides having a lot of fun reuniting with former classmates and band members, the organization has continued to meet every year to march in both Saturday and Sunday parades, present a concert, and play for the pure enjoyment of preserving and promotion of local Czech heritage and music. Membership has grown to some 200 musicians and engagements have grown to include concerts and parades outside of the Czech Festival. The band has become so popular that some Wilber-Clatonia graduates that didn’t belong to the high school band have learned to play so they could join the group. OUR MISSION HAS BEEN TO HELP PRESERVE AND PROMOTE THE LOCAL CZECH HERITAGE AND MUSIC. For years, WE have reunited during Czech Days with family, friends, and classmates for a very special time together. WE have given thousands of parade spectators a special musical treat. WE have given our W-C youth encouragement for their music participation. WE have shared with our Care Center residents and shut-ins our love for them. WE have attempted to acquaint ourselves to some fifty musical selections. WE have challenged ourselves to other venues–Czech concert and CD recording.